A mountain bike built to go anywhere. 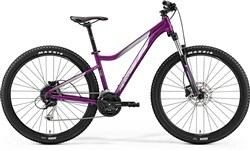 The Saracen Mantra Trail is a Women’s specific hardtail MTB that is ideal for UK trail riding. The Suntour Raidon XC fork offers 120mm of plush air sprung suspension travel to smooth the trail ahead. The Shimano Deore 2x10 speed drivetrain offers reliable shifting with a wide gear range for riding every trail section. The Shimano hydraulic disc brakes offer confident stopping power in all trail-conditions. The Suntour XCM fork offers 120mm of suspension travel to tame the trail and features a lockout for more efficient climbing on smooth surfaces. The Shimano hydraulic disc brakes give you confident all-weather stopping power while the Shimano 3x9 speed drivetrain gives you all the gears you need to ride every trail on your loop. 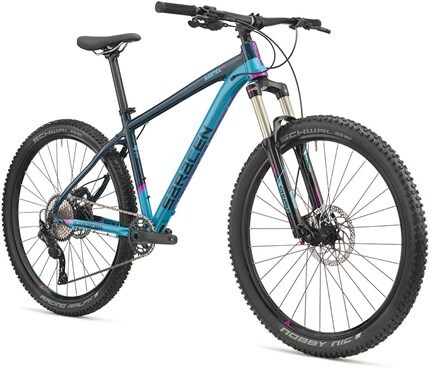 This women’s specific version of the Mantra Trail features an even shorter stem with slightly narrower bars alongside ladies contact points for a great fit straight out of the box. 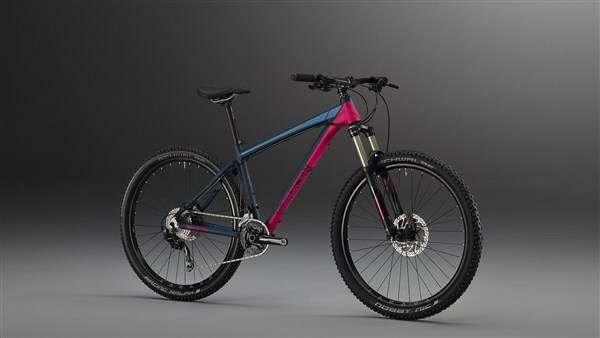 Get ready for adventure on the Saracen Mantra Trail Women’s hardtail MTB. Front Tyre: Schwalbe Nobby Nick 27.5 x 2.25"
Rear Tyre: Schwalbe Smart Sam performance 27.5 x 2.25"